Buttery Pull Apart Whole Wheat Potato Rolls. Is there anything better?! These rolls are easy, extra soft, buttery, doughy, and perfect. 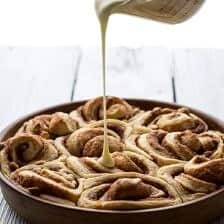 Made using a mix of whole wheat flour, mashed potatoes, salted butter, and eggs, this recipe takes the classic dinner roll and kicks it up a notch – you will LOVE them! 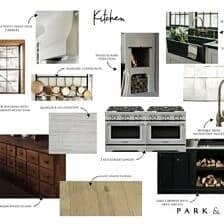 I have such a fun Tuesday post to share with you guys today! 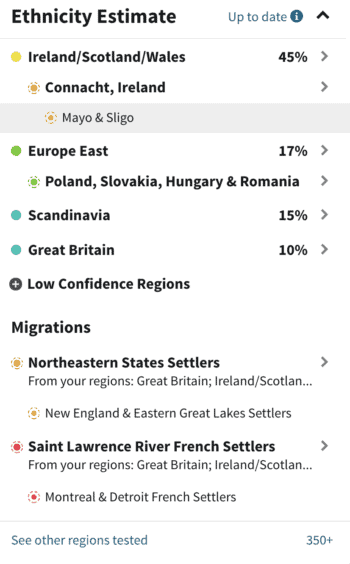 Well, I received my results last week and found out I’m about 45% Irish! The rest is a mix of Eastern European, Scandinavian, and a little British. So…am I shocked by my results? No, not really, but it was still really fun. I was a little surprised that I do indeed have so much Irish in me, since my dad is only partly Irish….but his grandmother did come over from Ireland at 17, and he has a great grandparent that came over when they were young as well. I’ve had a lot of fun looking through my results and seeing all the regions my ancestors have come from! Of course it’s also brought up a lot more questions. Which is good because these are questions we need to ask before my grandparents pass away. So we will, as it would be nice to pinpoint exactly who it was that came from each region. My parents even decided to have their DNA tested. Maybe my mother has some Irish in her as well. After reaffirming that I’m mostly Irish, I became inspired to share an Irish influenced recipe. 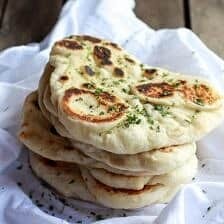 I did lots of searching around over the internet, and while I found a lot of Irish stews, soda bread, and stout cupcakes, I really wanted to share a recipe that’s great for every day. Enter these pull-apart potato rolls that can be made any day of the week, and any time of the year. It’s no secret that the Irish are known for their potatoes, so incorporating them into dinner rolls is an obvious must. 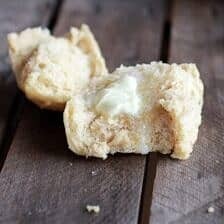 A lot of true Irish potato roll recipes include cheddar cheese, but I actually wanted a simpler roll, so I chose to omit the cheese and keep these rolls soft and buttery. 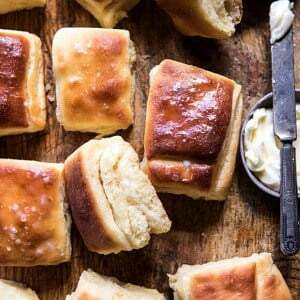 These rolls are a simple mix of water, yeast, eggs, flour, mashed potatoes, and butter. 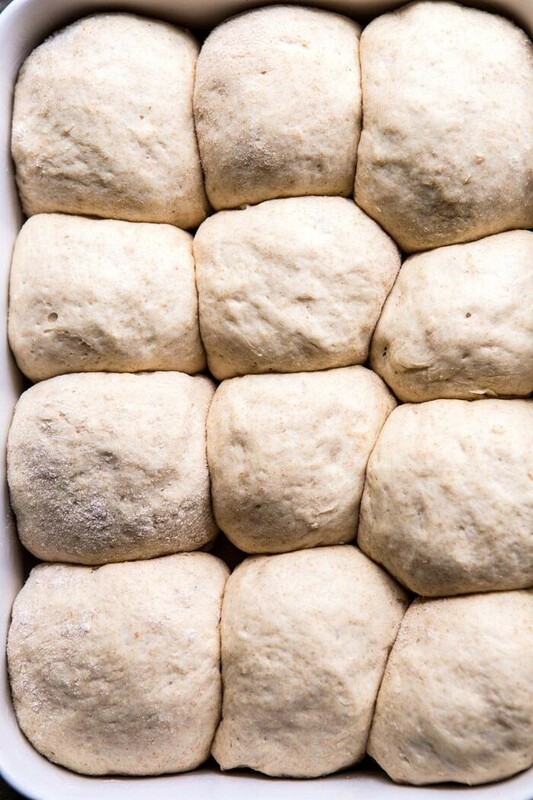 Simply mix up the dough, let it rise, and then form the dough into rolls. Then let the dough rise one more time, and bake until they are golden and perfect. 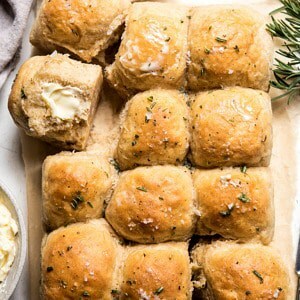 Tip: As soon as the rolls come out of the oven, I like to brush them with a little browned rosemary butter. SO GOOD, and best eaten warm, fresh out of the oven. Trust me, soft doughy perfection! Also! if you happen to have leftover mashed potatoes lying around, this is definitely a recipe you need to be making. I had so much fun creating these easy rolls and learning more about my heritage. If you too are interested in finding out more about your ancestry, I loved my experience with AncestryDNA . The test is easy, quick, and totally painless. Plus, they share lots of fun data about your ethnicity and even how far your DNA dates back too. For example, I discovered that my family settled in the northeastern states all the way back in the 1700’s. 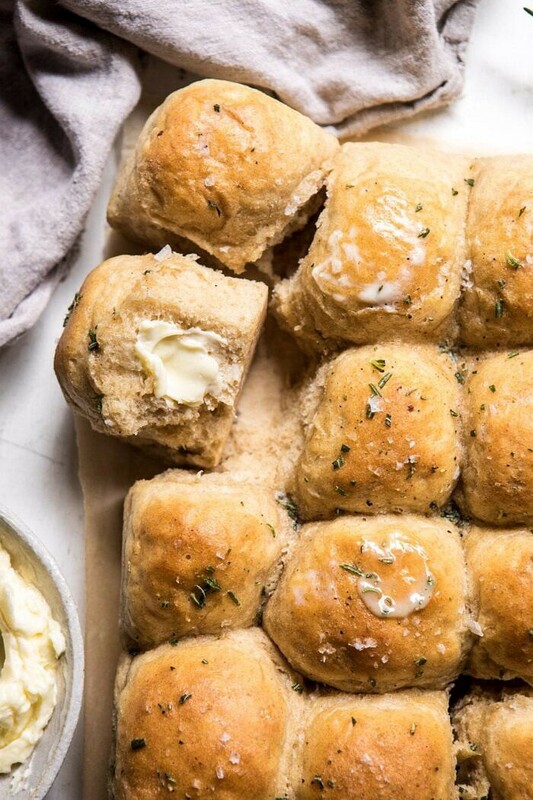 And with that, I think I am heading back to the kitchen to bake more dinner rolls, because this is one of those recipes that just becomes a staple in the kitchen. These are rolls addictingly good. Just warning you now, stopping with just one roll is very, very hard and takes serious self-control. If you make these pull apart whole wheat potato rolls, please be sure to leave a comment and/or give this recipe a rating! I love hearing from you guys and always do my best to respond to each and every one of you. And of course, if you do make this recipe, don’t forget to also tag me on Instagram so I can see! Looking through the photos of recipes you all have made is my favorite! 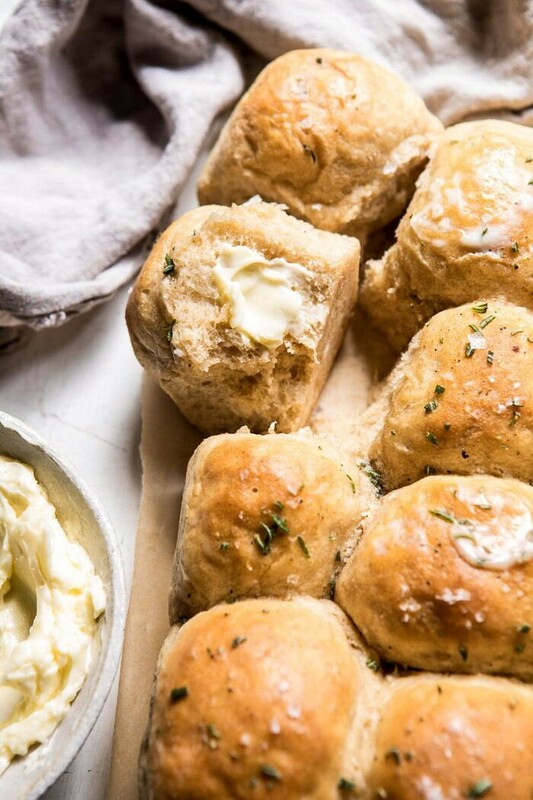 These rolls are easy, extra soft, buttery, doughy, and perfect. Made using a mix of whole wheat flour, mashed potatoes, salted butter, and eggs. The classic dinner roll taken up a notch! 1. In the bowl of a stand mixer, combine the water, yeast, honey, eggs, potatoes, flour, whole wheat flour, salt, and butter. Using the dough hook, mix until the flour is completely incorporated, about 4-5 minutes. 2. Cover the bowl with plastic wrap and let sit at room temperature for 1 hour or until doubled in size. 3. Grease a 9x13 inch baking dish with butter. 4. 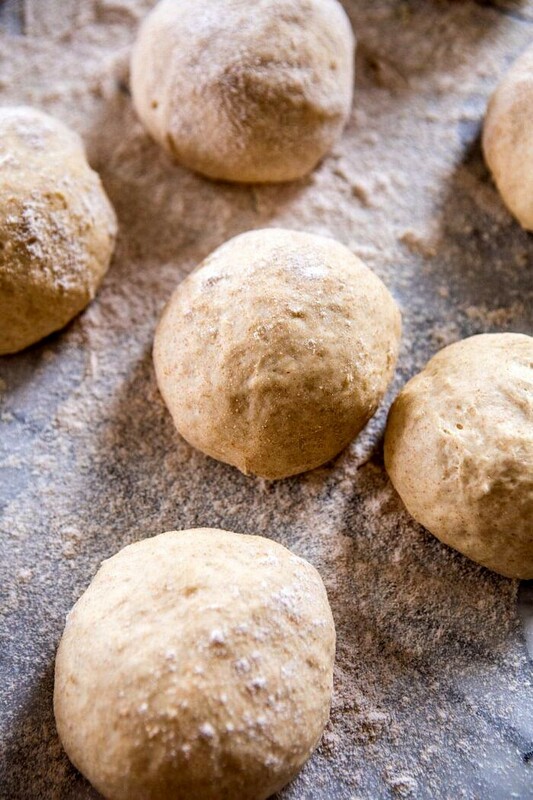 Punch the dough down and divide into 12 equal size dough balls. Arrange in the prepared baking dish. Cover the pan, and let the rolls rise for about 30-45 minutes, until they're puffy. Alternately, you can place the pan in the fridge to rise overnight. 5. Preheat the oven to 350. Bake the rolls for 20 to 25 minutes, until they're golden brown on top. 6. Meanwhile, melt together the remaining 2 tablespoons butter and the rosemary until the butter is lightly browned. 7. 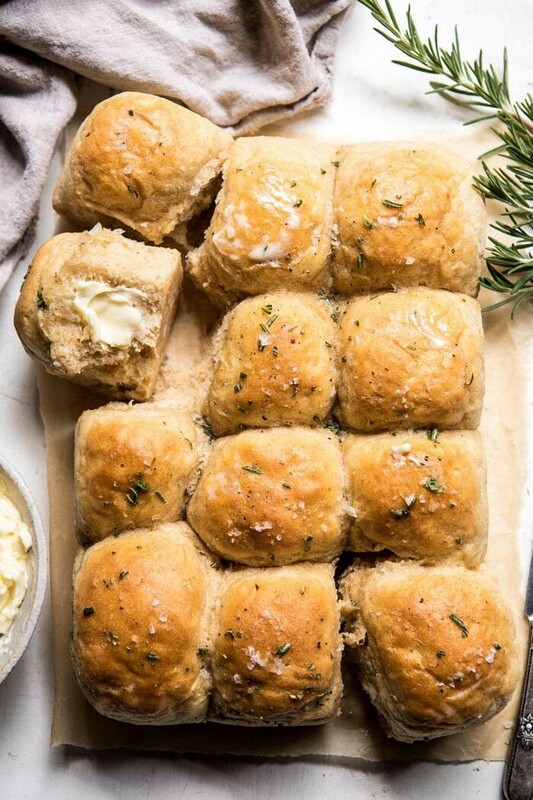 Remove the rolls from the oven, and brush with the melted rosemary butter, sprinkle with salt, if desired. Pull them apart to serve warm. *to make one cup of mashed potatoes, boil 2 cups of peeled, cubed potatoes until fork tender, about 20 minutes. Drain and mash. Creamed Corn Pasta with Fried Herbs. 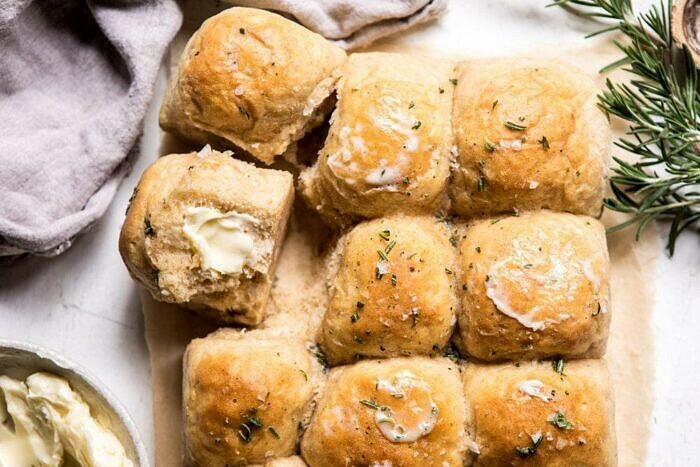 Easy Flaky Pull-Apart Dinner Rolls. 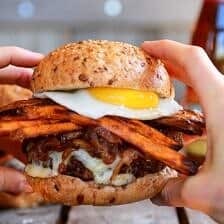 I have been making my way through many of your summer recipes and loved them!!! 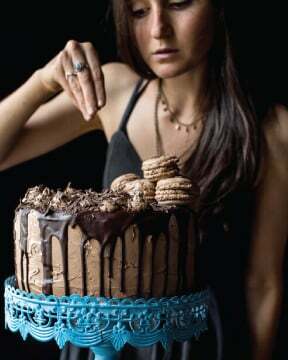 I would love the image at the top of the recipe to be larger on the printed page. No other complaints!!! Thanks for being so diligent with our summer menus. Thank you Elizabeth! I am so glad you have been enjoying my summer recipes! 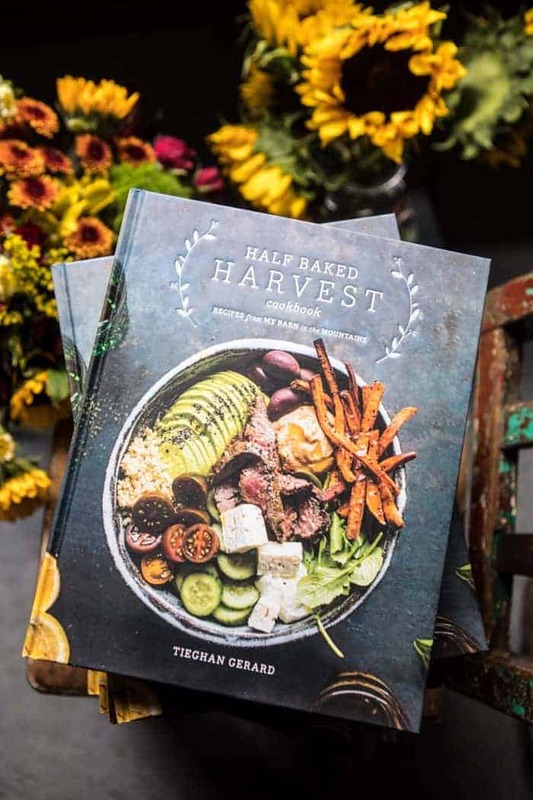 Thank you Tieghan, I loved your flaky pull apart dinner roll recipe (its now a staple in my house) but was wondering if you would make a whole wheat version. Yay so excited to try this! I will look into that! Thank you so much Charmaine! Will be trying this very soon. Hi from oklahoma. Thank you Gloria! I hope you love these! YUM! Dinner rolls used to be my favorite. I love that these ones contain whole wheat flour and potatoes, AKA my two favorite baking ingredients! Anyways, I also really want to take that AncestryDNA test along with the Food Sensitivities and Health-Related tests. Seeing the results are just so enticing to me! They are so cool! Thank you so much Cassie! hey girl- these look oh so yummy! I would like to do the DNA test. So cool! Can you make these and freeze to use later on? They sound and look yummy! Thanks. So interesting to find out where you’re “from”! I keep asking my parents if they’re sure we don’t have any southern European blood (my Dad’s grandparents migrated from Sweden to the US, but he has BLACK hair (or had when he didn’t have gray hair) and that’s not very Swedish…) but they keep saying nope, 100% Swedish. Not buying it. Should take a test and find out for real!! Yes I hope you do! It is so fun to find out exactly what you are! Thank you Emmeline! 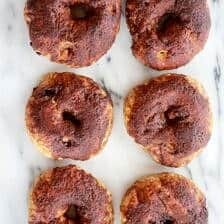 Hello, I was wondering if anyone has ever substituted the white and wheat flour with almond and coconut flour? Just wondering how it would affect the recipe if I use all All-Purpose flour, I don’t have any white-whole wheat or whole-wheat flour on hand? 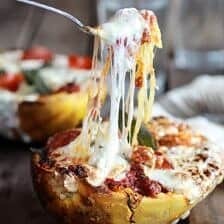 Hoping to make these tonight, they look delicious! Thanks! These potato rolls look perfect for soaking up gravy! Is it too early to start planning Thanksgiving? These would be perfect to go alongside turkey and all of the fixings. Or even better, to use up leftover mashed potatoes the next day! YES! I love that idea. And no not too early.. one of the best days! Thank you Lauren! I saw this posted yesterday, made them last night, and let me tell you, they are amazing! Thank you so much for all of your ridiculously good recipes! Keep them coming! These look absolutely fantastic! Have you tried doubling the recipe? Or would you recommend just making two batches? So interesting about your ancestry! Also, I LOVE potato bread/rolls so I’m drooling over here! Love that you used whole wheat flour, too. I made these yesterday, and the dough was a dream to work with! I consider yeast bread baking to be one of my specialities, and this recipe is a winner! That is so great! Thank you so much MaryEllen! These were very good! The pillowy texture and savory rosemary butter was wonderful. For the warm water, I followed what Bernard Clayton said, between 110 and 120 F. Anything warmer can hurt the yeast. Because of this recipe, my wife is getting me your book for Christmas.This is the third recipe I have done from you and she loves it. She thinks there is more we can learn from you. For those who thought of soaking up with gravy it sounds great. However, if you don’t want to wait for a decadent treat, slice open and pan fry them in butter until toasted and then cover each side with a fried egg. It was 2 slices of gooey heaven. That is so amazing! I hope you love the book, Bill! Thank you! 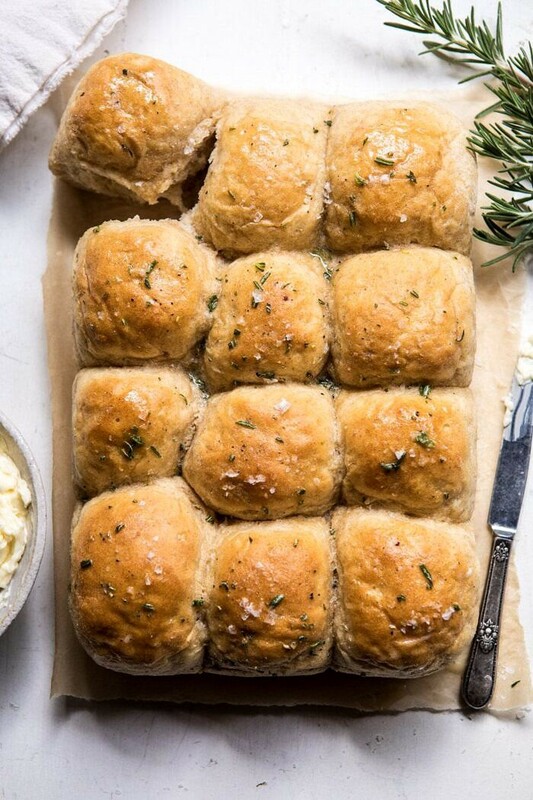 These rolls look so delicious, love the rosemary and salt! Hi! Just wondering would adding mashed potatoes that have some butter and milk in it effect the outcome? It’s all I have right now and would really like some rolls tonight! Can you freeze these as dough to bake later? At what stage of the process would be best to freeze them? These look delicious and I can’t wait to try them! Just one question: does ‘overnight’ mean they can they sit in the fridge for up to 24 hours? or only 12? That is, can I prepare the rolls this evening to bake tomorrow evening for dinner? Thanks so much! Hey, I was wondering if it was possible to use a food processor instead of a stand mixer (which I don’t have), and if so how would I.. go about that ? I bookmarked this in August and finally found time to make it! I didn’t have rosemary on hand, but the plain version came out delicious! It’ the first time I’ve made bread before, and this recipe was easy to follow. I also super appreciated that their was only two tablespoons of honey instead of sugar. Thanks for all the work you put in Tieghan! Hey Tieghan, love your recipes! I’m gearing up for Thanksgiving 🙂 Have you ever made these with mashed sweet potato instead of regular potato? Thanks! I made these for our Thanksgiving feast, and my family gobbled them up! I had tested the recipe out as written first (and they were amazing). To make the smaller and easier to transport for Thanksgiving, I put the chopped rosemary in the dough (and doubled the amount, highly recommend) and made 15 rolls instead of 12. It fit great in my 9×13 pan to have five rolls down the long side and three on the short side. I don’t have a stand mixer, but stirring and kneading by hand was no problem. I’m terrible at making things evenly sized, so I used my kitchen scale to weigh the total dough and then each roll. I know I’ll make these again! Thank you so much Allie! I am so glad these rolls turned out so well for you!